Below is the early Pick 5 ticket for June 16th, 2018 at Santa Anita Park. As always the ticket is $20 or less. Young Hendrick (#2, 4-1) debuts for a barn (Phil D’Amato) and a sire (Square Eddie) that are very dangerous down the hill. He has worked very well coming into this race and catches a field without a standout. Lucky Mesquite (#5, 5-1) is also bred to thrive down the hill. His sibling, Velvet Mesquite, was a terror on the Santa Anita course and this gelding has worked well enough to merit consideration on debut. Sir Eddie (#6, 5-2) is the logical favorite following two second place finishes at this level. There is a fear that he may lack the killer instinct when it comes to winning, but it is too early in his career to determine that and he is the horse to beat in this spot. Thermopolis (#7, 7-2) is one of the most experienced runners in the field and should show improvement in his first start as a four-year-old. He is proven fresh and makes his second start as a gelding for the Phil D’Amato barn. Bea’s Boy (#5, 5-2) closed nicely on debut to be 2nd after breaking from the rail. He should be more involved early with a better draw and does not need to improve much to beat this field for a trainer that fires at 20% with horses making their second start. River Boyne (#4, 1-1) will be extremely tough at a short price. He is 3 for 3 over the Santa Anita Turf Course and caught a yielding turf course when facing much tougher at Churchill. He should stalk the early leader and pounce on his way to bigger and better things down the line. Miz Tianjin (#6, 6-1) is 2 for 2 since switching to dirt sprints and adding blinkers. She is drawn outside a field full of speed and is dangerous once more on the class hike. Dis Smart Cat (#3, 5-1) has back-class that John Sadler will try to bring out of her first off the claim. She made a nice middle move before fading badly last time and has been freshened since. She has worked extremely well for her return and will be closing late. Anonymity (#4, 6-5) is likely to be overbet in this spot while returning from a layoff. Her maiden win was sparkling and her 2nd start at this level was a solid effort as well. She has loads of talent and upside, but must prove she can withstand early pace pressure and keep going against winners. Donut Girl (#6, 6-1) has been a bit disappointing since her nice debut win, but a move to turf could be what she needs to shine. 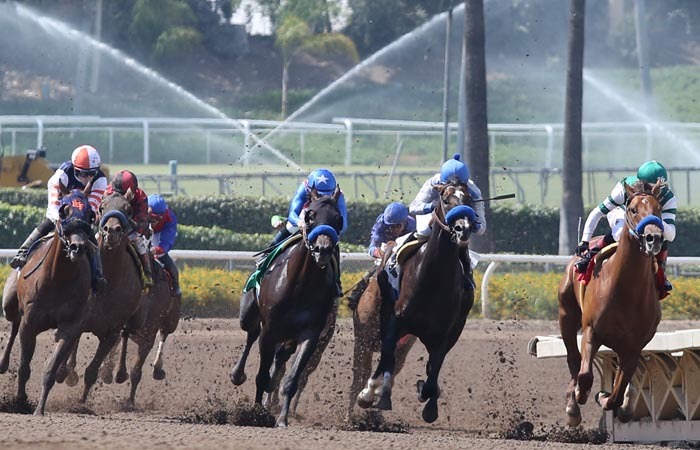 This barn’s runners tend to be very live when Bejarano takes the call. Helen’s Tiger (#5, 3-1) has improved by leaps and bounds since switching to the turf and one more forward move is enough for her to repeat in her first start against winners. Flavien Prat retains the mount and this filly appears to be thriving as she returns in just 13 days. Miss Unusual (#3, 5-1) returns in just 6 days after a powerful victory against lesser. She will have to take a big step forward, but she is bred top and bottom to love the turf and is a major threat if she moves up over the new surface.